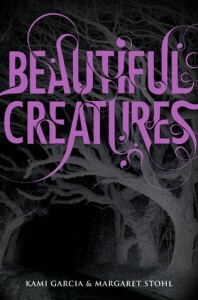 Originally Reviewed At: Mother/Gamer/WriterRating: 4 out of 5 ControllersReview Source: PurchasedReviewer: JenniferBook two on my wacky “books to film” list is none other than Beautiful Creatures. And let me start this review by saying the book was better than the movie. Not that I didn’t absolutely adore the film, but the book has more character and a lot more detail. 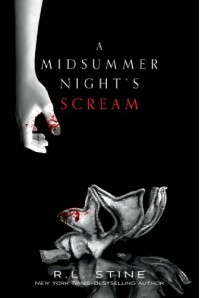 Now if you haven’t heard of this book, it centers around star crossed lovers Lena Duchannes and Ethan Wate. After spending his entire life in the small town of Gatlin South Carolina, Ethan only has two things on his mind, getting out of town and the girl that has been haunting his dreams. So imagine how surprised he is when the girl shows up in his English class the first day of his junior year. The girl, Lena is strange to say the least being the niece of the ‘town shut in’ doesn’t do her any favors. And being a caster, well a relationship for them is just out of the question. But for some reason, Ethan can’t seem to stay away. There are a ton of reasons why I loved this story. One of them being that I love stories told from a male point of view. And not just any male, but a teenage boy. Reason number two, as previously stated, there is a lot of detail. The world of casters, or spell users (because they hate the term witch), is so detailed you can almost sense it. These are just a few reasons to check out this story, if you loved the movie, I can almost guarantee you love the book. Originally Reviewed At: Mother/Gamer/WriterRating: 5 out of 5 ControllersReview Source: PublisherReviewer: HeatherFamily feuds have a way of destroying everything they touch. The one between the Huntington and St. Claire families is no different. Set in the late 1800’s, Two Sinful Secrets is full of lust, action, suspense, devilish romance, and surreptitious pain. It pairs two unlikely foes against each other, but the tale starts as a masked encounter. Lady Sophia is anything but a Lady. She wants freedom and doesn’t live up to the Huntington ideals, no matter how hard she tries. At the young age of twenty-three she rushes off in a whirlwind romance with a young captain. Her family, facing scandal, disowns. Thinking herself in love, she quickly learned that all he cared for was between her thighs. Soon after the thrill’s worn off, he dies, and she finds herself a widow and penniless. Only a respectable marriage would allow her to return home. But Sophie doesn’t want another husband to tie her down, and she’s all but given up on the notion of love. Until Dominic St. Claire waltzes back into her life, but can they overcome the family feud and their secrets, and fall in love? Dominic St. Claire is an actor, good at playing dark villains and weaving tales. More so, he’s best at hiding his true emotions. With his fiancé deceased and a life to live, he throws himself into the theatre again. On a trip to Paris, he happens upon a woman he never expected to see again, one he spent years searching for to no avail. But when he learns of her family name, can he resist the urge to ruin the Huntington name, or will he open his heart to the woman who stole it all those years ago? I cried a lot. I didn’t want the story to end. This tale was weaved magnificently, and I found myself transported to Paris. It’s surreal when a historical really comes to life because we can’t physically step back in time. The romance, oh there aren’t words to describe the hurdles the couple faced. This is where I cried the most. Every time they got close, something would happen or some new tidbit would come to life. Dominic St. Claire may not have one any book boyfriend awards, but by the end, I finally felt like I knew some of his holdout. To think a feud could destroy so many years after the fact. Well done, and I look forward to reading more Laurel McKee and her two series: The Scandalous St. Claire’s and The Daughters of Erin. Originally Reviewed At: Mother/Gamer/WriterRating: 4 out of 5 ControllersReview Source: NetGalleyReviewer: ArielBlood and Bone by Don Hoesel was a great archaeological adventure that was reminiscent of the Indiana Jones franchise. The third in the Jack Hawthorne Adventure series, it was still easy to read and get through without reading the first two (although I will be picking those up as well). Jack Hawthorne and his wife, Esperanza (aka Espy) have retired from archaeology and have been focusing on raising their two boys, Alex and Jim. All of this changes when Jack’s friend Duckie calls him, warning him to flee. Years ago, Jack, Espy, and Espy’s brother Romero, buried the bones of biblical prophet Elisha in the deserts of Australia, never to be seen again. Now, Jack must recover the bones to keep him and his family alive. 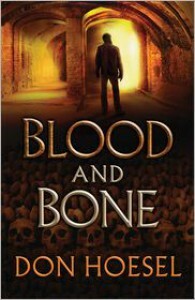 The plot of this novel was amazing, I love a good historical adventure, and Blood and Bone does the trick. The search of Elisha’s bones takes Jack and Espy to Australia, Russia, and France, and the novel never gets dull at any point. If the two aren’t being chased by any of the three organizations that are after them, they are piecing together clues to take them one step closer to their goal. The clues were really fascinating to me, but it did make the novel a little hard to follow at times because I wasn’t entirely sure what had just happened. However, I love watching people figure clues such as these out, and once Jack and Espy figured out the clues, it was easy to go back and see how they pieced it all together. Jack and Espy are a wonderful couple, and they kept me entertained throughout the entire novel. Jack is definitely more of the daredevil, the risk taker, the one more likely to throw caution to the wind, whereas Espy is more rational and keeps Jack in check. This does not make her any less enthusiastic to go on their adventure, however. There are multiple moments where Jack either has an idea, or gets them into a mess, and Espy proceeds to start a string of Spanish that Jack doesn’t understand, but knows she would never say in front of the boys. And Espy is the one who speaks multiple languages and is able to help the two of them navigate through the country by gaining the locals’ trust. There are about three different organizations after Jack and Espy throughout the novel, and while this definitely adds to the intensity of the novel, I got to the point where I started to wonder who WASN’T after them. The only other gripe I really had with the novel was I felt that the ending was really anti-climactic. I was left with a couple of questions that weren’t resolved, which always bothers me. Overall, Blood and Bone gets 4 out of 5 controllers. Despite the unsatisfying ending, it was a phenomenal read, and an exciting adventure that kept me on the edge of my seat the whole time I was reading it. I definitely look forward to reading more works by Hoesel. Originally Reviewed At: Mother/Gamer/WriterReview Source: NetGalleyRating: 3 out of 5 ControllersReviewer: ArielFirst of all, I love Dystopian literature, so I was really excited to read Swans & Klons by Nora Olsen. The story follows Rubric and her girlfriend, Salmon Jo, through a futuristic society (called Society) where men are extinct and there are 300 genetic types of women, 300 “Jeepie Types”. Young girls are raised in dormitories and when the humans are 16, they get partnered with an adult of their Jeepie Type, their Jeepie Similar, who mentors the young girls on how to be an adult in Society. Women don’t give birth, instead, babies are hatched in tanks at the Hatchery. In addition to the humans, there are Klons, who are also hatched in hatcheries and go to their own dormitories where they are taught to do different labor tasks, because humans do no labor for themselves. The premise for this novel was really good, and it sounded like an interesting story. Rubric and Salmon Jo discover something about Society that changes their views on life forever, but no one believes them. This sets up an amazing theme for the novel of growing up and questioning what society tells you is acceptable, and forces you to start making your own decisions about things. Rubric is an ambitious young woman who is extremely artistic and creative. She dreams of building airships and doing great things with her art, so she’s ecstatic when her Jeepie Similar is one of her idols, Stencil Pavlina. However, she is quickly disillusioned when Stencil Pavlina is not exactly who she imagined she would be. To make things worse, Salmon Jo, who was not thrilled with her Jeepie Similar assignment at first, ended up loving her Jeepie Similar assignment. The two are a cute couple, they seem to compliment each other really well; Rubric is artistic while Salmon Jo is more scientific. The two are well written characters, each with their own quirks and personalities. There’s even strife between Jeepie Similars, which I thought was nice since Jeepie Similars are theoretically supposed to get along because they’re the same genetically. Overall, it was a really enjoyable and quick read, it could probably be read in an afternoon all in one go. It was different than other dystopian fiction I’ve read (I’ve never read about an all female society before) so that was a nice change. With all that being said, I kind of disliked how quick of a read it was. I feel like the story could have been developed a lot more, maybe some explanation of how Society came to be, and when it came to be. The only real opposition is a land over a giant wall around Society that is called the Land of the Barbarous Ones, where they still have males and women still get pregnant. 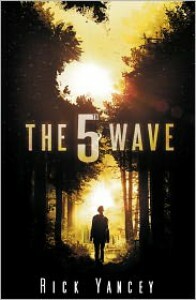 I don’t want to say the plot was rushed, because it didn’t necessarily feel rushed, but it was a very quick paced book. Like I said, it could have been developed further and still been a good novel. All in all, I give the novel 3 out of 5 controllers. It’s definitely worth a read, but I wasn’t blown away by it and the pacing could have been a little slower. 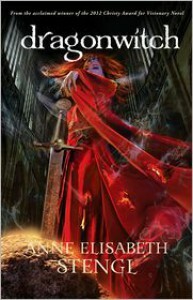 Originally Reviewed At: Mother/Gamer/WriterRating: 4 out of 5 ControllersReview Source: NetGalleyReviewer: ArielDragonwitch was my first journey into the Tales of Goldstone Wood series by Anne Elisabeth Stengl, and I absolutely loved it. Stengl creates a fantasy world that is different than anything else I’ve read in the genre. The world is rich with castles and magical Faerie Paths, and the characters are all done really well and have their own personalities, strengths, and weaknesses. Alastair, the nephew of Earl Ferox, has been named the heir to the childless Ferox, and he has been told all of his life that he will one day be king of all of the North Country. His mother, Lady Mintha has spent his lifetime grooming him to become king, but is that really what Alastair wants? Lady Leta of Aiven has been betrothed to Alastair in order to get her father, the Earl of Aiven to form an alliance with Lord Ferox to make it easier for Alastair to become king. Leta has been told it is “our woman’s lot” to be married and bear children, and passive Leta has gone along with what her family wants. Then there is the Chronicler, the dwarf of a man who has been employed to write down the history of the Gaheris like the Chronicler before him. He also takes it upon himself to teach Alastair to read and write based on the wishes of Earl Ferox. The two don’t seem to get along, at first, but things may change. One of the things I loved about this novel is there is this huge theme of fate and destiny and the question of are we meant to be more than what others wish for us? Alastair has constantly been told he is to be the king of the North Country, Leta has been betrothed to a man she has never met and is given no choice in the matter, and the Chronicler is shunned from everyone else at Gaheris because he is malformed. But when goblins take over Gaheris, an epic journey ensues that makes everyone question their destiny. Intertwined within the adventure story is the mythological story of two immortal brothers, the legend of which the rest of the story takes place. Having the legend go along with the bulk of the novel was great, I love anything mythological and having the mythological basis was something that I really enjoyed. If I had one complaint about the novel it’s probably that once the story splits into the epic journey to get rid of the goblins and what goes on in the castle after the goblins have invaded, not a lot of time is spent at Gaheris, which wouldn’t be a big deal except one of my favorite characters ends up staying at Gaheris. Overall, I’m giving Dragonwitch 4 out of 5 game controllers. It’s a great fantasy story with a colorful world, and fantastic characters. It also really does make you think about destiny and fate and whether or not we’re meant for more than what people want from us. Originally Reviewed At: Mother/Gamer/WriterRating: 5 ControllersReview Source: Purchased Reviewer: JenniferThe third book in Nicky Charles Laws of the Lycan series centers around Cassie Greyson the niece Anthony Greyson. After her bloody introduction into the Lycan world, Cassie went into hiding. Years later, she has set up a quiet life for herself, a job at a local grocery store, and a home with her sweet and caring boyfriend Kellen. Kellen has his faults, his gambling for example, but Cassie isn’t perfect either. Though she has a seemingly normal life, Cassi knows she’s still being hunted, but she never imagined how they would come. Enter Bryan Cooper, beta to the one and only Ryne Taylor. Bryan has become obsessed with finding Cassie and not even he is sure why. By Lycan Law, their pack is responsible for her. So when she is finally spotted, Bryan is sent to bring her back to Canada and the safety of the pack. Too bad Cassie is dead set of staying away from any and all Lycans. But when Kellen goes missing, Cassie is forced to team up with Bryan to find him and try to deny the obvious chemistry that makes her wolf want to run wild. Something she has never experienced before. 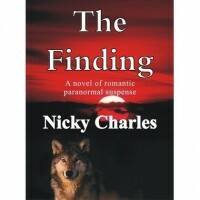 Once again, I am back singing the praises of Nicky Charles! It never ceases to amaze me that she has created such a vivid world. Her characters are so realistic that it is easy to believe that this world exist right under our noses. I also, as usual, love the fact that this book was free. She has created this incredible world and isn’t interested in making money from it. If you haven’t gotten started yet, be sure to check out The Mating and The Keeping, the first two books in the amazing Law of the Lycans Series! Originally Reviewed At: Mother/Gamer/WriterRating: 4 out of 5 ControllersReview Source: NetGalleyReviewer: MeI will go ahead and readily admit this…I really like Dejah Thoris. In all honesty, I do not give two flips about what she is – or in most cases – isn’t wearing. Dejah is fun to read and follow, if you are willing to set aside you reality and replace it with one where the sexiest woman on Barsoom traipses around in a golden bikini, kicks major arse and gets people to do whatever she wants. She may not be Wonder Woman or Storm, but I do not think she is meant to be anything like the superheroes we have grown to love or automatically picture in our heads. This is exactly why I like the over-the-topness of her character, her story line and personality. 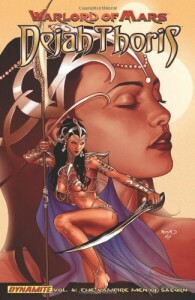 If you can recall from my review of, Warlord of Mars: Dejah Thoris Volume 3 – The Boora Witch TP, the beautiful Princess of Barsoom mind and body were taken over by The Boora Witch. Unbeknownst to her and under the cover of night, Dejah committed traitorous acts setting ally against ally and turning the leaders of Helium against one another to create ultimate chaos. Now on a self-imposed exile and of course wandering around half-naked in the ice (because it wouldn’t be Dejah if she wasn’t), she stumbles upon a man from the Okar or ancient “yellow race”. Not to give away too much from Issue #16, Dejah must find a way to escape her new captivity. Issue #17 begins with her, once again, becoming prisoner to an unknown race known as the Vathek a once peaceful people who had essentially been turned into vampires from a devastating plague. The Vathek man takes her to the planet Saturn where she meets the Commandant. He explains that he wants to take over Barsoom and needs Dejah to be his Emissary and persuade the people to surrender. Dejah, being feisty Dejah, says no and with the assistance of a Palidor, escapes. After evading the Vathek patrols, in Issue #18 she and the Palidor head to the rebel base and meet up with Julz – leader of the resistance. After seeing the Vathek Blood Farms, Dejah agrees to help the Palidor fight and offers herself as a soldier. Later on, Julz intercepts a transmission from the Vathek to Barsoom that orders their immediate surrender. This sets Dejah on a path back to the Vathek where she encounters a surprising betrayal. Jumping into Issue #19, Dejah finds an unlikely ally with a Vathek who wants her as his bride. Over the top? Of course it is! As things begin to heat up, we get the big fight scene and learn whom Dejah can really trust among her newly found friends. However, does she manage to save her planet and finally destroy the Vathek? Overall, I really enjoyed Warlord of Mars: Dejah Thoris Volume 4: The Vampire Men of Saturn. The illustrations remain beautifully drawn, something I have become accustomed to with the series. And the eye catching colors really bring the story and characters to life. Yes, the story may be a little exaggerated and Dejah a little too overdone, but just try it and maybe you too can fall in love with the beautiful Princess and her extraordinary adventures throughout space. 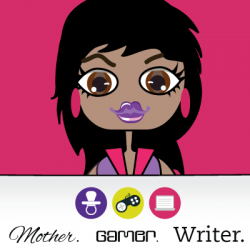 Originally Reviewed At: Mother/Gamer/WriterRating: 4 out of 5 ControllersReview Source: Blog TourReviewer: SarikaOne by Leigh Ann Kopans follows the story of a young girl, Merrin, caught in between two universes, normalcy and the supernatural world. Being a One, she fits in nowhere, consequently without any sense of community or belonging, until the day she meets Elias… One of the things I believe the author captured extremely well was the entire high school experience; I personally felt like I could relate to some of the topics explored through the novel, the awkwardness of adolescence, the new relationships you build, and wading to the superficial to find the real you. The romance aspect felt too rushed for me, however. Although I liked the idea of a supernatural girl falling for someone who makes her a better person, the key to unlocking her potential, I already knew what was going to happen to the characters romantically two chapters before they actually did. The routine of instant love, replicated through thousands of YA books, was not missed here. I just found it very unbelievable that one of the most good-looking boys in school would take a sudden interest in the new kid because “There’s a good energy coming off [her] or something”, further hindering the whole reliability-thing that the author had going on. And although Kopans did touch on significant issues such as ‘unfriendly contact’ and harassment with the protagonists past, it was unsettling to see the quick and easy manner in which she discarded her history and fell head over heels in love with Elias. Having said that, I believe that the book brilliantly captures the aspects of life teens go through every day; it puts into words what most of us are unable to express by ourselves. He’s jealous of his sisters, but the love is stronger than the jealousy; although these lines are certainly out of context with regards to the situation they are in, all of us must have felt like this at some point or another with our siblings; the author’s ability to capture human emotion and express them on paper is certainly uncanny. Moreover, although the plot started a little slow towards the beginning of the book, it picked up towards the second half, throwing twists and turns that left me gripping the book, on the edge of my seat. The second half definitely made up for the lack of characterization in the first, and it wasn’t until the final stroke hit the canvas that the entire painting began to make sense. Overall, this was an enjoyable read; nothing to heavy, a perfect book for a bit of light, entertaining. reading. and I would recommend it to anyone interested in young adult fantasy/teen romance. Happy reading! 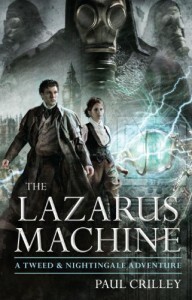 Originally Reviewed At: Mother/Gamer/WriterRating 4 out of 5 ControllersReview Source: PublisherReviewer: AimeeKayThe Lazarus Machine is a very interesting Steampunk mystery. Overall the book was filled with fun and excitement, as well as mystery. It drew me in and definitely had some parts I didn’t see coming. I liked the world that Crilley has built. I think it is a great set up for future novels. Not only more about the main characters, Tweed and Nightingale, but for other characters that were introduced as well. As for the steampunk creations that populate his world they are intriguing without being overly complicated. I loved the characters. Sebastian and Octavia are a great pair. They come from two different levels of society and it is interesting to see how they work together. Also while the opportunity for romance is surely there, this is not a romance novel, and I think the story benefited from not delving to deep into that part of their relationship. The supporting characters are a treat as well. They story doesn’t delve too deeply into some of the other characters past but they are still hold their own within the lives of the main characters. I would hope that they appear in more books about Sebastian and Octavia. ***Spoiler Alert***Even while the technology wasn’t too complicated there were a few things that I wondered about. The main thing was about Sebastian himself. (This is where the spoilerage comes in so don’t say I didn’t warn you.) In the beginning of the story Sebastian has memories of when he was younger, yet later on things come to light that make it impossible for him to have had those memories. It bothered me a bit because it was never explained. Maybe it is something that will happen in later novels? ***End Spoiler Alert*** The other items that bothered me where along similar lines, but nothing nearly as major and could easily be written off or outright ignored. Even with the issues I had with the book I still really enjoyed it. Not only was there the mystery of Octavia and Tweed’s missing parents, but there were other mysteries as well that the author was able to weave into his story that made it that much more interesting. I would definitely recommend The Lazarus Machine as a great new summer mystery to pick up and I’m giving it 4 out of 5 controllers. Originally Reviewed At: Mother/Gamer/WriterRating: 5 ControllersReview Source: NetGalleyReviewer: ArielFirst of all, this was a great debut novel for Cindy Cipriano. The first few pages were a little slow, but by the end of the first chapter I was hooked. Cipriano introduces an amazing world of magic with the Sidhe and she keeps readers guessing as Calum tries to find out what happened to his cousin Finley. 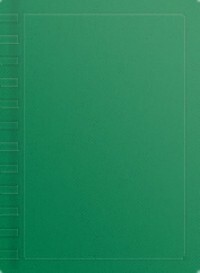 One of the things that really intrigued me about the novel was the fact that it’s full of Irish phrases, which can be a little tricky at first but there is a pronunciation guide on the book’s website, www.thesidheseries.com. I always get fascinated whenever something European is involved, so this was a huge plus for me. 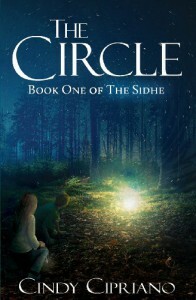 Something else that I found really interesting about the novel was the fact that there were different clans of Sidhe and each clan has their own token and their own verse, and I don’t think we’ve been introduced to all of the clans yet, so I am looking forward to the possibility of that in future books in the series. The characters are fantastic, Calum is your typical 11 year old boy (aside from being a Sidhe of course) and he’s an extremely easy character to relate to. Apart from anything magical going on in the novel, Calum is, like a lot of children, nervous about middle school. He meets Laurel, a human girl, and is reluctant to be friends with her because she is a girl. His best friend is hanging out with other kids, bullies, and the two are drifting apart. It is an extremely real telling of this particular time in a kid’s life, Sidhe or otherwise. That being said, the interactions between Calum and Laurel are really enjoyable, the awkward just getting to know someone new right before starting a new school situation is done really well. Hagen, Calum’s cousin, is a great character as well. He and Calum act more like brothers than they do cousins, and Hagen is just as dedicated to finding Finley as Calum is. There are family trees in the back of the book, which come in handy and I wish I would have checked the back of the book before I read the whole book because it can be a little difficult at times to keep track of who is related to who and how they are related. There are still some things that seem a little mysterious that I am looking forward potentially being explained in the rest of the series. Something still seems a little suspicious with Laurel to me (you’ll understand once you read the book) and of course, the book ends on a cliff hanger leaving lots of room for the next novel. I’m giving The Circle 5/5 game controllers. It was a great read, something that I thoroughly enjoyed, and definitely would have enjoyed when I was younger. Fantastic debut novel, and I can’t wait to read more. Originally Reviewed At: Mother/Gamer/WriterRating: 5 ControllersReview Source: Author SubmittedReviewer: AimeeKayWhat Happened in Witches Wood is the second book in the Class Heroes series by Stephen Henning. Unlike the first book, this one didn’t seem to drag in the beginning. I’m not sure if this was because I already had an interest in the characters or because there wasn’t jumping back and forth from present to past and back. I again enjoyed watching Sam and James interact and learn to use their powers. Plus, there were some new characters introduced in this one that were entertaining as well. I liked Simon and Asha and I hope they are in future books. Also, the twins finally get to really interact with Lolly. More is revealed about who she is and where she came from. The story itself this time revolves more around one of the newly introduced characters, the twins Aunt Katie. ***spoiler alert*** I have to say I kinda saw the ending for this one coming. But it was still fun to read and I still got attached to Katie, even though her being dead and all kinda meant she wasn’t going to be around forever, I had hoped maybe I was wrong. ***end spoiler alert*** A lot of the twins family history was also revealed. Things like where their powers came from and why others have powers as well. I enjoyed the ending more in What Happened in Witches Wood. Last time the ending was very cliffy and it felt like there wasn’t really a conclusion. But in What Happened in Witches Wood, while there are definitely some strings left untied, it didn’t feel so incomplete. Plus there is a bonus easter egg attached to my Kindle edition. There is a link to check out 24/7 Interactive News. (The news that James and Sam are always tuning into) I think that was really cleaver as it gives a way for readers to further interact with the story. 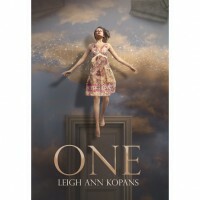 I still would definitely recommend this one to mid-grade/younger teen readers and on up. The book itself can stand on its own, but I think that if you haven’t read the first one yet, A Class Apart, you should certainly pick it up! Overall, I think I enjoyed this one more than the first. It didn’t seem to drag in the beginning and the ending was solid. I give this one 5 out of 5 controllers and if I had to rate the whole series I would give it 5 out of 5 as well. Originally Reviewed At: Mother/Gamer/WriterRating: 4 out of 5 ControllersReview Source: Author/Blog TourReviewer: AimeeKayI’m torn. 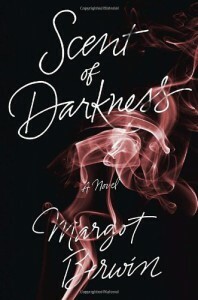 I loved the writing in Scent of Darkness; however I hated the main character. Berwin’s writing was amazing. Her descriptions of the world, the people, their thoughts and emotions all were absolutely stunning. The way she put her words together was moving and kept me turning the page to read more. However, I really disliked Eva. She was selfish and she just annoyed me. Maybe if the story hadn’t been told from her point of view and I didn’t have to listen to her thoughts I would have enjoyed the book more. She just seems to let things happen to her. She complains about the things that happen to her and she says she can’t stop them from happening. But she never seems to make a real effort to change anything; she just lets herself get dragged along. I also didn’t seem to be able to connect with any of the other characters. They were all beautifully described, but the only one that seemed to be more than just a pretty shell was Michael. The problem with Michael is he was even more self absorbed than Eva. The only difference is he is supposed to be since he was the bad guy. The writing was so beautiful though. I think if I had been able to connect with Eva I would have given the book the Royalty award along with 5 controllers. However all the beautiful writing couldn’t save that part, so I’m giving it 4 out of 5 controllers. I would recommend picking it up for the summer; maybe another reader can connect with Eva better than I could. Originally Reviewed At:Mother/Gamer/WriterRating: 3.5 out of 5 ControllersReview Source: Audiobook purchaseReviewer: MeFrom the moment the audio began I was HOOKED on Transparent. The world Whipple crafted from Fiona’s mobster family to the strange and curious abilities of its people left me in awe on this wonderful mystery set in a modern day Metropolis. Pitched as a YA smashup of The Godfather and X-Men, Transparent is captivating, original, and almost received 5 Controllers from me – the epic science fiction nerd. However, as the plot progressed there were several things that started to go awry. Fiona is an invisible girl raised with a ruthless womanizing father who controls every aspect of her life. Born into a life of crime, all she’s ever known is what she was told. Heck the poor girl doesn’t even know what her own facial features look like or the color of her hair. She’s cynical and snarky and only wants to please her father. Radiasure, a drug issued after the Cold War had unforeseen effects on the population and gave some people superhuman abilities. As the author intended, you immediately are intrigued by the sympathetic Fiona and the world she inhabits. Wanting to know why some people have silly powers and others have powerful abilities that makes them targets. In the beginning I loved learning about her, the mother who could never leave her father, and the two brothers who are on opposite ends of the crime family spectrum. However, after the turning point in Fiona’s life and she’s thrust into a new city by a mother who is trying to redeem herself, Fiona slowly began to change. Once in her new setting, Fiona starts to become very self-centered. Maybe it’s because she’s never been around “normal” kids her age or tried to attend a real school, but I just found some of the things she said to be off. One minute she’s running for her life and extra-suspicious of everyone she comes in contact with, and the next she is day dreaming about a certain boy and worried about if she’s shaved. Her thoughts were a little all over the place for me and I just wanted her to focus. She is also bitter – which I kind of liked in the beginning but then once she started to become “too nice” I didn’t enjoy her anymore. Yes, I know she was probably supposed to be unlikable in the beginning so her character could grow/develop over the course of the novel. However, I’m not entirely sure that happened. Instead of growing to accept herself I think she became paranoid about little things and too concerned with other people’s opinions. At one point there was a big reveal that someone (I won’t say who) could see her. And Fiona literally freaked out. Now to me, I think if I was invisible and someone could finally see me I would be thrilled. Yes, it would make you feel exposed but it should also make you feel special and excited. Maybe my perception is wrong, but I just feel that her reactions to certain situations were odd. Overall, I don’t actually dislike Transparent and as I said earlier I loved it in the beginning. The ending was not too shabby and I really enjoyed the villain even though I wish we’d gotten to see more of him. The middle of the book lacked some character development and seemed to just jump from one plot point to the next without any substance in between. 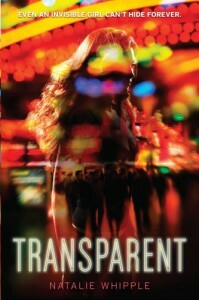 If you like Dystopian’s with a hint of mystery and mobsters, then definitely check out Transparent.